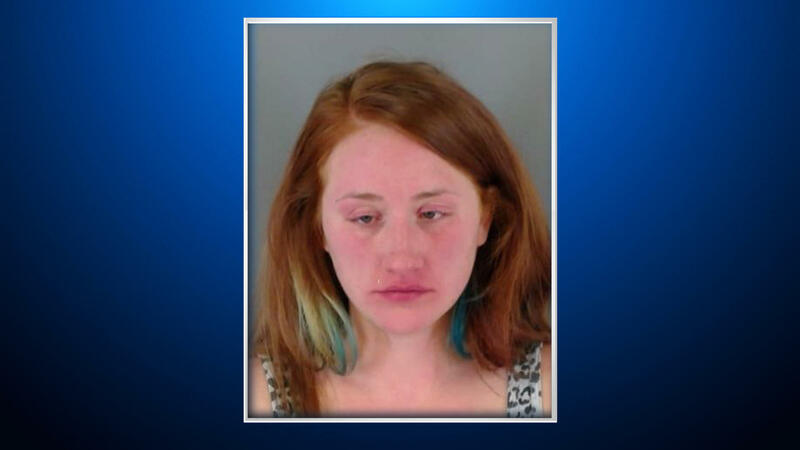 THORNTON, Colo. -- A Colorado woman accused of leaving her son alone in a car overnight during a snowstorm appeared to be under the influence of drugs or alcohol around the time she apparently abandoned the boy. Court documents say that surveillance video captured 26-year-old Nicole Carmon walking into a gas station Friday night in suburban Denver looking disheveled and appearing distressed. Investigators say she seemed to say something about “Target” and pointed to a nearby Target store before walking off. The boy was found Saturday morning in a car covered in snow parked at the Target store about 14 hours later. He had hypothermia and frostbite. The Denver Post reported that Carmon told police that she had six shots of vodka Friday. Carmon was crying as she faced a judge in court Monday morning. She admitted in court that she needed to address her drinking issues, CBS Denver reported. According to the arrest affidavit released by Thornton police, Carmon’s babysitter called 911 after Carmon showed up at the babysitter’s home looking for her children. Carmon also has an older daughter, CBS Denver reported. The babysitter was concerned because she didn’t have the children and called police. Police in Westminster then contacted Carmon and that’s when she told officers she believed she was in an accident late Friday night or early Saturday morning and couldn’t find her 2-year-old son. The child’s father was also in court. He told CBS Denver that doctors initially thought they were going to have to amputate his son’s leg. The man said he was able to see his son in the hospital and that he is doing better and may not have to amputate the limb. He told CBS Denver he plans to fight for full custody of his son. Carmon has a number of previous charges related to alcohol with the latest one occurring in October of this year. According to the arrest affidavit in that case, Carmon had been driving with no tire on her passenger rim when she was pulled over and could barely get out of her car. She was on probation for that offense when she was arrested Saturday. As for Carmon’s older daughter, an acquaintance told CBS Denver that child protective services is involved in the case. The public defender’s office declined to comment on the allegations.